Let’s keep the Great Lakes clean and beautiful. Environmental stewardship is one of craft’s credos — specifically water conservation. Water quality is at the forefront of brewing. Not only do craft brewers use water to make their delicious beer products in millions of barrels per year, but the sanitation of wastewater effluent is an enormous part of the environmentally-conscious brewing business. In the past, we’ve seen craft innovators like SweetWater Brewing Co. release beers with a water-conservation bent, but recently, we applaud Short’s Brewing Co. for its continual clean water efforts using beer brands. The Michigan brewery is preparing to release its Superfluid beer for the first time in bottles, while simultaneously announcing the connection of this beer to an awareness campaign about the Line 5 pipeline. Short’s is Northern Michigan’s largest craft brewery and a member of the Natural Resource Defense Council’s Brewers for Clean Water Campaign. This is the second consecutive year that they are tying a water issue to the brewing of Superfluid. In 2014, Short’s is hoping to bring attention to Enbridge’s Line 5, a 60-plus year old oil pipeline that runs underwater across the Straits of Mackinac. Due to the significant and far-reaching effects that an oil leak from this pipeline would cause to the Lakes Michigan-Huron system, Short’s joins a number of other Great Lakes companies and non-profit organizations that advocate for increased awareness of the pipeline. 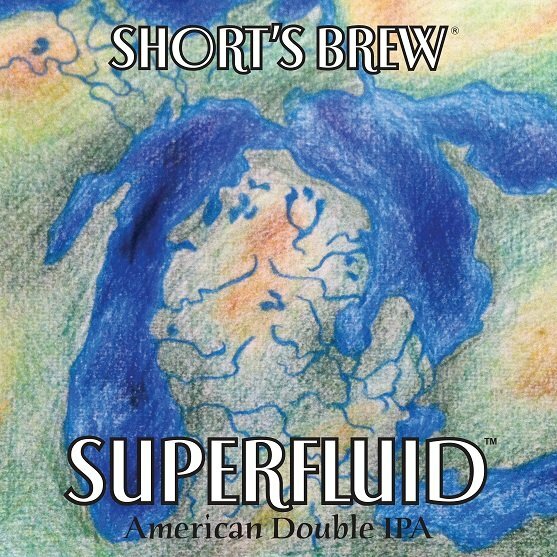 Superfluid is the beer that Short’s has now used twice to bring attention to a water issue they feel relevant to their business and way of life in Northern Michigan. It is an American Double IPA (8.0 percent ABV, 71 IBU) with a large, but basic malt bill that allows the hops to seize the flavor focus, contributing bright qualities of citrus fruit, berries and even a mild spiciness. In 2013, the first year the beer was brewed, it was a celebration of the 40th anniversary of the Clean Water Act. Short’s Brewing’s commitment to clean water also includes a number of water conservation measures at both its brewpub in Bellaire and production brewery in Elk Rapids, the forthcoming installation of a wastewater pre-treatment system at its Elk Rapids facility and support for the Clean Water Act headwaters rule.